Sunday Bunday in the shade! 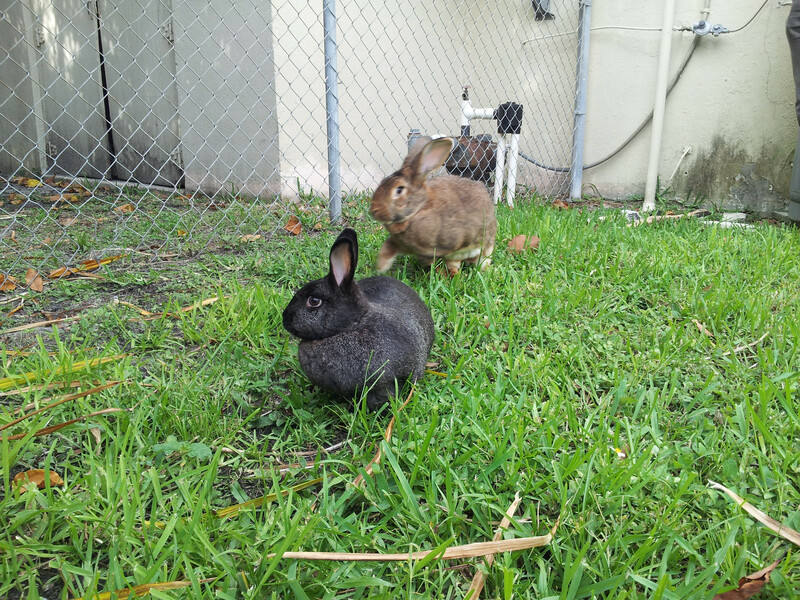 We took the bunnies out for a romp in the grass. This is an image of our foster bunnies. They were keen to bounce around and dig holes in our verdant, lush lawn. And here’s our forever bunny. He mostly wanted to lounge. He’s pretty good at it and we think he deserves it. They had so much fun. 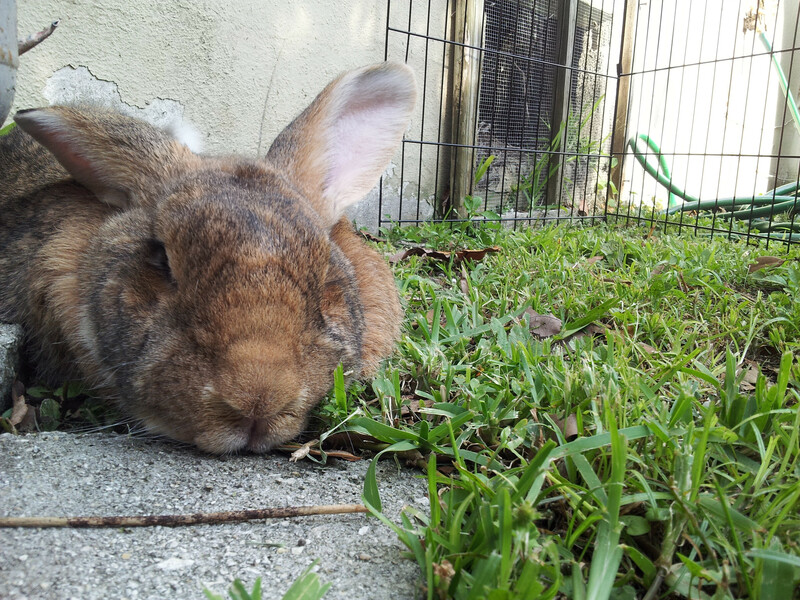 Rabbits aren’t appropriate outdoor pets, particularly in a place as hot as Florida. Bunnies don’t tolerate temperatures above 75F or cooler than 55F and there are too many stray dogs, feral cats and birds of prey to make me comfortable leaving the fat little morsels outdoors unsupervised even with the protection of a hutch. Instead we keep them inside so that they can dart out from under furniture and demand attention. Our bunnies are most active in the morning and evening when we’re home and have time to snuggle them. They’re pretty excited about breakfast but I like to think they’re thrilled about seeing me and Brent for the first time in 8 hours. Those little leaps of joy are called ‘binkies’. They’re one of the two most adorable bunny gestures I know that say “I’m happy”. The big guy does his first and then starts running toward me as the little lady does hers in the background.